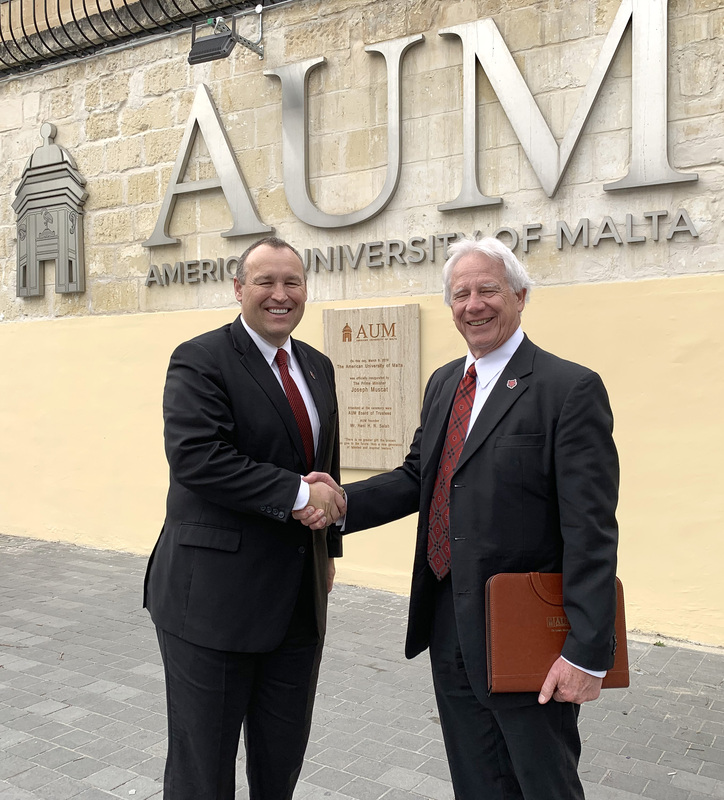 Forging a new international relationship for Arkansas State University, Chancellor Kelly Damphousse met with officials of the American University of Malta last week to conclude a new dual-degree and global classroom location for A-State. Leaders of Arkansas State University Campus Queretaro today updated the ASU Board of Trustees on growth of the institution and its role in the development of a model city in Mexico. Dr. David Ray, vice rector of Campus Queretaro, said the focus remains on student recruitment and retention while commercial development of a community around the campus ramps up. College of the Ouachitas in Malvern will become the newest member institution of the Arkansas State University System on January 1 under a merger agreement approved and executed today. The College of the Ouachitas (COTO) Board of Trustees voted unanimously Tuesday to join the Arkansas State University System. Subject to approval of the ASU Board of Trustees and the Higher Learning Commission, COTO would become the sixth member institution in the ASU System. Located in Malvern, COTO enrolls nearly 1,700 students annually and has 110 full-time faculty and staff with an annual operating budget of more than $12 million. The Accelerate ASU initiative enables us to lead the way in addressing the goals set forth in the State of Arkansas’ Master Plan regarding higher education attainment. Dr. Chuck Welch explains the importance of higher education as an investment in the future of our families, communities and the State of Arkansas.